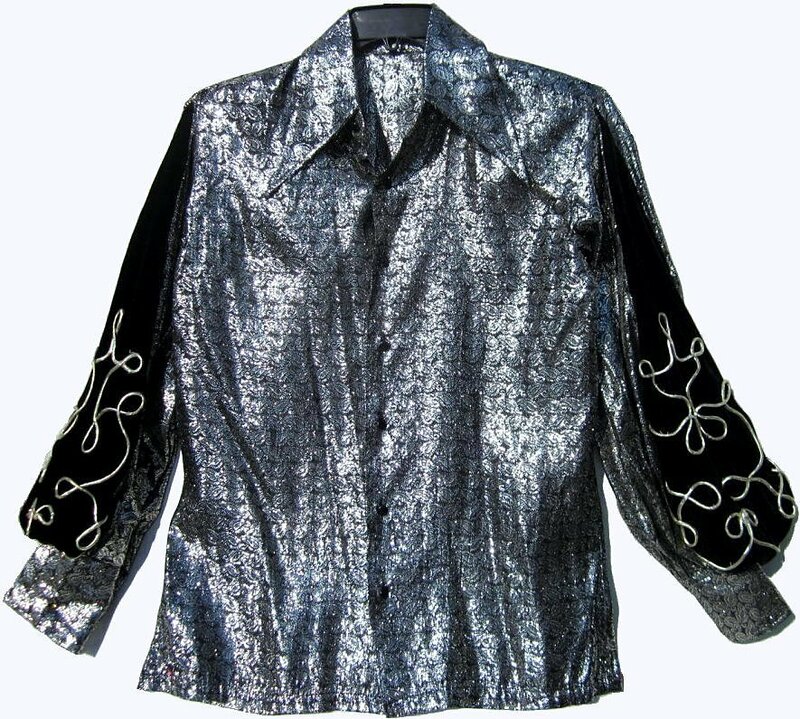 This one of a kind shirt is made of actual silver lamé with a black background. The flashy shirt has a large dramatic collar. velvet inserts that have light gold metallic chording on them. The result is unique and more attractive in person. The shirt is a men's XS - S. It measures 41" around at the armpit level for a 36 Fit. The shoulders are 18". The sleeve length is 31". Dry clean after wearing. Two buttons are missing from one of the French Cuffs.